Spanish public broadcaster RTVE and commercial broadcasters Atresmedia and Mediaset plan to launch a joint OTT TV platform that could see them compete with the likes of Netflix, Movistar+, HBO and Sky in the Spanish market. The three broadcasters initially plan to launch an interactive TV platform, based on the HbbTV standard, that would complement the country’s digital-terrestrial offering and would be open to all DTT broadcasters. The platform will group together content from the three broadcasters with the goal of “improving the diversity and quality” of the free TV offering with HbbTV functionality. 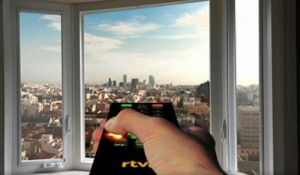 Essentially, this will extend RTVE’s existing red-button service, bringing the commercial players on board to develop a joint interactive platform with functionality that includes the ability to restart programmes airing on linear TV from the beginning. The second phase, however, will se the launch of an OTT service that will see the three collaborate by contributing their own programming to a joint platform. According to Spanish online daily El Español, citing unnamed sources, the trio plan to launch the first phase of the project as early as this summer, moving quickly on to develop an OTT offering that could be launched in the first months of next year. RTVE has already begun to diversify its offering with digital services. At the end of last year, it launched a new online video service targeted at a young audience featuring original and interactive content. Playz is available on the web, mobile devices and smart TVs via the red button service. Also late last year, reports emerged that Chinese technology giant Huawei was planning to launch an OTT TV service in Europe, beginning in Spain and Italy, and that the company had struck a content supply deal with Atresmedia.